Scan 4-5 in a cottage wood burning stove installation from Kernow Fires. 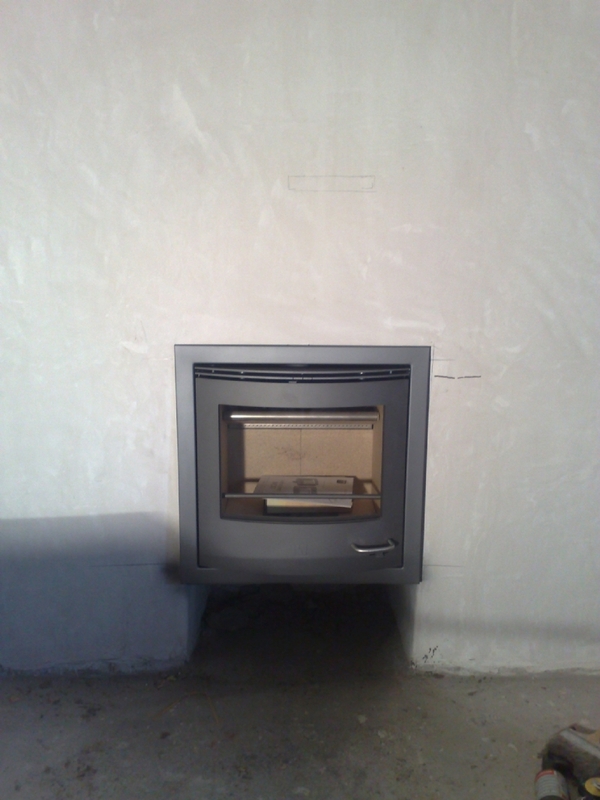 The Scan DSA 4-5 is a neat inset fire with a gentle curve on the front which blends with the lovely wobbly old wall. Due to transforming an original fireplace it was simple to add a little log store underneath which add the to quirkiness of the fireplace.